Liven up notes, calendars, homework sheets or anywhere a playful touch is needed! 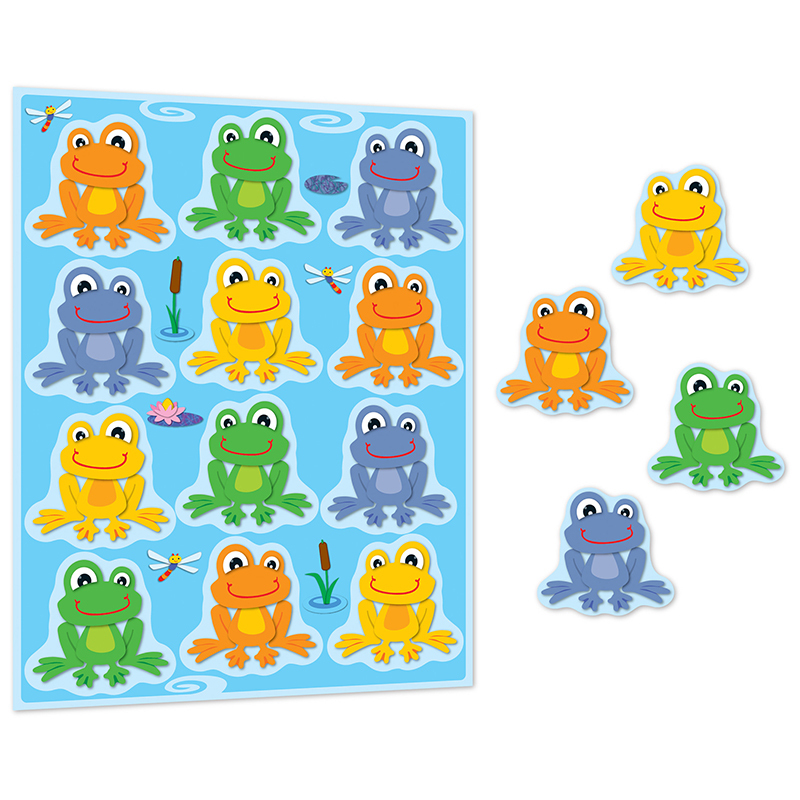 These light-hearted FUNky Frogs Shaped Stickers are also perfect for rewards, prize boxes and are an essential addition to any teacher's desk or treasure chest! Each pack of these acid-free and lignin-free stickers includes 96 stickers! Look for coordinating products in this design to create a lively and FUNky classroom theme!